Welcome to Unit 4! This is the final unit of our Android Game Development series, and here we will create a full Android game that can be published onto the Play Store. With the framework developed here, you will learn how to port Java games to Android, and even learn how to create your own games using the techniques we learned in Unit 2 and Unit 3. This lesson, Day 1, will be an overview of Android and Android App/Game Development. There is much information here that will prove useful in the next lessons, so read carefully! Without further ado, ladies and gentlemen, I introduce to you, Android. Android is the most popular mobile platform in the world. This open source platform is being propelled by more than 1 million device activations a day and by Google's huge online infrastructure. 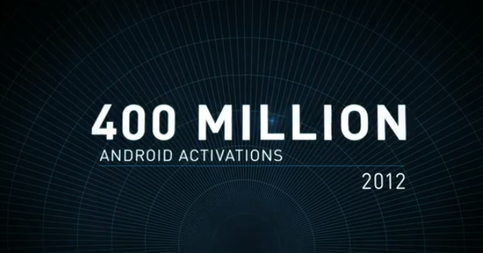 In November 2012, Android tied the iOS app count by hitting 700 thousand apps. Because of this huge market size, Android development is becoming an increasingly popular field. For developers who want to target a huge, diverse audience, Android is growingly becoming the perfect platform. As we have in the past three Units, much of Android development can be done on Eclipse. We will be downloading a special plugin called the Android Development Tools (ADT) that will add several functions that we need to develop our apps and games. ADT will let us do everything from creating an Android project to exporting it as an APK that can be uploaded onto Play Store or your personal device. Android's official app distribution channel is the Google Play Store, and Google makes it very easy to begin publishing your apps. The initial registration fee is $25 USD. There are no additional fees (as of now). Instead, Google draws revenue from taking 30% of your cut from your app sales. In addition, Google does not actively approve/deny app submissions; you are expected to follow Google's terms of conditions to keep your account in good standing. As this is a relatively small barrier of entry, many developers choose Android over other competing platforms, such as the iOS. Of course, if you want to get your application into the hands of as many people as possible, you would want to target other distribution channels, such as the Samsung Apps market and the Amazon App Store. The fact that these channels have fewer apps than the Play Store means that your app may have increased visibility, more exposure, and hence more downloads. There are various ways to approach Android Game Development. In this Unit, we will be creating our own framework and game engine. Using these, we will improve and recreate the 2D platform game we created in Unit 3. You will see that much of the materials we have previously covered will translate extremely well to our new platform. This will ensure a much more manageable learning curve, as you will be able to better understand the new concepts that we introduce in the next lessons. I hope you enjoyed that small introduction, and see you in Day 2, where we will setup for workspace for development!